While you may have heard some buzz about the Arkansas Cornbread festival you will want to read some of the facts that make it one of the most loved events in the greatest city in the nation! Read below for the top 8 reasons you don’t want to miss out on the fun and excitement at this great event! 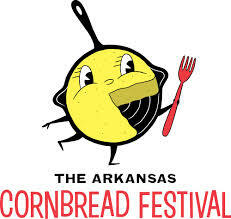 The 2014 Arkansas Cornbread Festival will be full of music, enticing aromas and the promise of family fun has drawn more than 3,000 people to downtown Little Rock for the first two Arkansas Cornbread Festivals. This year promises to be bigger and better. Cornbread and side dish entries are judged by everyone attending the festival as well as a panel of celebrity judges. The Arkansas Cornbread Festival features amateur competitors dishing up delicious cornbread concoction for attendees to taste and vote. To add to the excitement, cash prizes for amateur winners will be bigger than ever,. Professionals (restaurants/caterers) will showcase their special recipes, making more good eats available for ticket holders. Five hours of topnotch musical acts combined with a wide variety of vendors selling their wares makes for full day of fun on Saturday, Nov. 8, from 11 a.m. until 4 p.m.